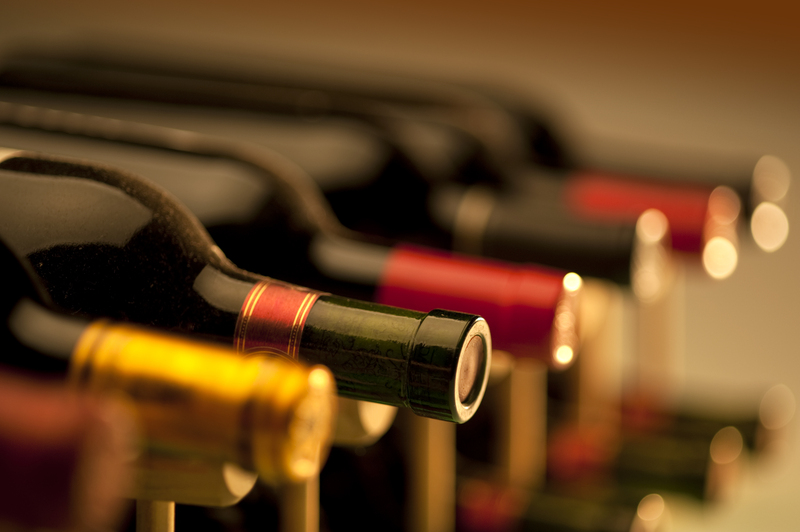 So you’ve just got an amazing deal on your favourite wine and have stocked up; where are you going to store it? The first thing to remember is that very few wines you can get from supermarkets or off licences will benefit from ageing, the vast majority are intended to be drunk young. By young we mean within a couple of years of them being bottled. If your aim is intending to store your wine for more than a few weeks or months its time to have a look at some proper storage facilities and dispense with the wine rack and the ordinary fridge and perhaps look at investing in a wine cooler fridge for your home. Public enemy no.1 for wine is heat. When temperature rise above 70°F all wines will age quicker than is good for them. If it rises even higher your wine could well ‘cook’ in the bottle and when you go to drink it the flavours and aromas will be flat and pretty bland. The ideal temperature range for storing any wine is between 45° – 65°F, and you will often see 55° cited as the optimum temperature. This isn’t cast in stone however and a good quality wine can survive outside of this range as long it isn’t stored for years and isn’t being subject to constant highs then lows in temperature. A household fridge is fine for the very short term but being stored at a temperature which is too cold can also affect wine. Temperatures in fridges regularly drop below 45° in order to keep our perishable foods edible and the lack of moisture can also cause corks to dry out eventually. This is turn allows air to get in and damage the quality of the wine. Never be tempted to pop wine into a freezer to cool it quickly either. It can be forgotten about very easily and once the liquid begins to turn to ice it can expand forcing out the cork. Instead of fretting about your wine being at the perfect 55°F you should be more concerned about frequent or extreme changes in temperature. Rather than constantly checking the temperature and stressing about it dropping a couple of degrees below or rising a couple of degrees above aim for a more consistent temperature range. Chances are that from being bottled to entering your house they haven’t been environmentally controlled all the way but will have remained within an acceptable temperature range. This is where wine fridges really come into their own as whether its the heat of the summer, the heat of the central heating or the biting cold of winter your wine will be completely unaffected. Another no no for wine storage, particularly in the long term, is sunlight. This is the main reason why vintners use coloured glass for their bottles, a sort of sunglasses for wine if you will. Fluorescent lights do emit a very small amount of UV light which will only really cause damage in the long term. Even if you have your wine fridge outdoors beneath your bar the shade will ensure sunlight never touches your bottles, and every bottle will taste absolutely perfect. Very few of us are blessed with a cool and relatively damp free basement which we can turn into a wine cellar. This why wine fridges are so popular these days as they replicate the condition and temperatures of a cellar. One handy tip to remember is that if you do purchase a wine fridge the cooler the place you locate it the less work it will have to do and thus more energy efficient it will be. Somewhere like a garage is an idea spot as the temperature won’t be as affected by the weather as the rest of house and few have central heating in their garages.